The important thing to understand is that the difference between “Office Home & Business 2010” & “Office Standard 2010” is much more than “Publisher 2010”. Office Standard 2010 is an Enterprise-class productivity suite designed for worldwide deployment & Enterprise integration. 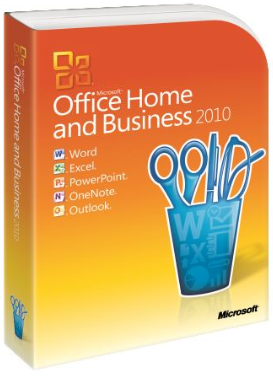 Office Home & Business 2010 is a consumer/small business-grade suite designed for a single PC installation. Enterprise customers licensing Office usually want to purchase it on volume to get the best discount for their volume purchase. Office Home & Business is a consumer purchase & cannot be licensed via Volume Licensing – i.e. there is no Select pricing. Office Home & Business is a retail/OEM package SKU created primarily for consumers to purchase at a retailer like Best Buy/Costco for use on their home PC usually to complement the business edition they use at work – not for deployment in an Enterprise. Office Standard is available for purchase through Volume Licensing and thus available for volume discounting & volume deployment. Enterprise organizations need to understand that Office Home & Business has no processes available for architecting an Enterprise deployment. It cannot be feasibly deployed in volume via enterprise distribution technologies like System Center or Altiris due to a lack of volume activation technology. There is no mass distribution packaging for this edition and more importantly, there is no volume activation/single Enterprise activation key available for this edition. Each copy of Office Home & Business needs to be installed by hand (or come tied to a PC) and manually activated using an UNIQUE individualized activation key for each PC & this key essentially comes out of the retail package. Office Standard has many well-defined volume deployment processes available to it as well as volume activation for the entire enterprise using a single activation key for an elegant Enterprise deployment installation/image. In WAN connected environments, minimizing the need to download/upload entire documents to editing & viewing is becoming increasingly important. Additionally, with the variety of devices in use by users today, being able to render Office documents through standards compliant platform agnostic browsers is important since it enables usage on connected iPads & other non-Windows platforms. Office Standard 2010 features the licensing rights to use Office’s web-based/HTML-based counterparts hosted internally on SharePoint Server, for individuals that want to access documents within a web browser. This provides the convenience of reading/editing documents without downloading the file locally from a server and enables multi-person editing. If the Office license is on Software Assurance, the user will have Office Roaming Use Rights and can access their documents via a HTML web browser over “Office Web Apps” on companion devices like iPads, Android Tablets, Macintoshes, etc. without any additional licensing. Office Home & Business does NOT have this licensing right & cannot use server-based Office Web Apps in any capacity. In order to support localized languages such as Spanish, French, German, etc., Office has Multilanguage Packs available for it that are installable. Office Standard 2010 has this available to it if it is covered by Software Assurance under volume licensing. Office 2010 Home & Business does not have Multilanguage Pack support in any capacity as this is exclusively a feature for Office Standard or Professional Plus. IRM safeguards digital information from unauthorized use through integration with Windows Rights Management Services (RMS) for Windows Server. It gives users the ability to define exactly who can open, modify, print, forward, and/or take other actions with documents and e-mail messages. Office Standard has the ability to consume and read IRM-protected content in Outlook, Word, Excel, and PowerPoint. Office Home & Business do not have this capability in any of its products. The social networking features of Office Standard provides a people-centric view of your company, including messages, meeting schedules, attachments, and SharePoint activities—such as the posting of status updates directly within Outlook. It allows Office Standard users to connect to popular social networking sites to get news from customers, prospects, and partners. Office Home & Business does not provide this social networking capability in any of the applications. Office Standard provides secure access to business information through operability with SharePoint. It includes differentiated capabilities from integrated document workflow and to smart templates that populate document metadata and easy access to rich client/server capabilities within the Backstage view. Office Home & Business does not provide any integration or access with SharePoint at all. Office Standard can publish worksheets with strong fidelity to the Web, and create Web databases with Excel Services and Access Services through SharePoint 2010. The Report Center helps ensure that all users have access to the same version of critical business information. Office Home & Business does not provide these ad-hoc numeric/financial analysis capabilities. Office Standard allows users to easily communicate with others in different locations or time zones using familiar Office tools. Lync and Lync Server as well as Communicator and Office Communications Server operate with popular Office programs to provide a range of different communication options, including instant messaging (IM), phone, and voice, video, or Web conferencing. Office Home & Business provides no integration with Lync, Office Communicator, and other Microsoft unified communications technologies.